*NOTE - if you want to add custom dvd cover images and you use our backup and restore service, always add custom dvds covers at mydvdcatalog.com, not your device. 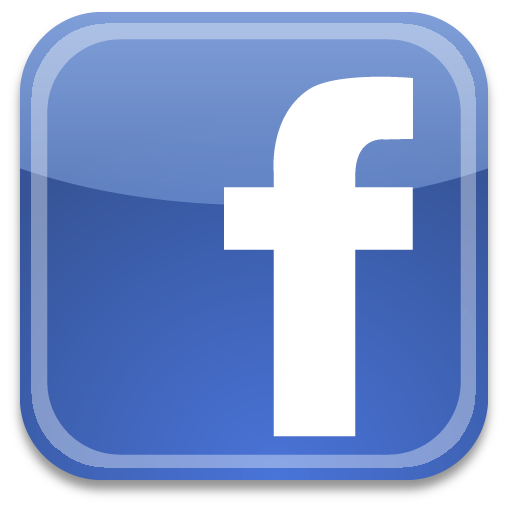 **Feb 1, 2012 - Our policy has changed** Let us explain in more detail. First, if you own the iPhone and iPad versions of our DVD Catalog that can add movies inside the app, you can add an unlimited amount of dvds on the devices, but not on our website any more( unless you subscribe). But the website mydvdcatalog.com now has limits on how many you can add online. We have thousands of users switching to our service as we are making our service better and better. But in order to maintain app updates , storage on our site, these features are extremely expensive. Instead of charging $100 for our app, we only charge a few dollars. But this few dollars in not enough to run tons of servers that can save all of our users data and keep all of our data updated and accurate. Just like Drop Box or Apple's iClouds services, we give everyone a limited amount of FREE data, in our case, 150 DVDs to upload download, add, etc. for free. If you want more than that then users will have to subscribe to our Oscar Membership service which allows us to constantly improve our service, our apps and update our movie listings constantly. We apologize for this inconvenience, but it is a necessary in order to keep a top notch service such as ours running flawlessly and always being updated. If you have any other questions, please let me know. - 2/17/2017:DVD Catalog for iPhone version 7.1 submitted to Apple Store for approval. New features included are: - Add movies faster now! 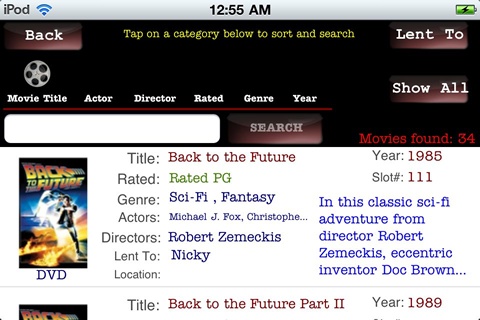 Tap + button at main screen, enter a title to search for, select movie, tap on SAVE button! - The SAVE button will wiggle to remind you to save your movie when adding or editing. - 1/16/2017:DVD Catalog for iPhone version 7.0 approved by Apple and ready for download! -Much improved and faster interface! 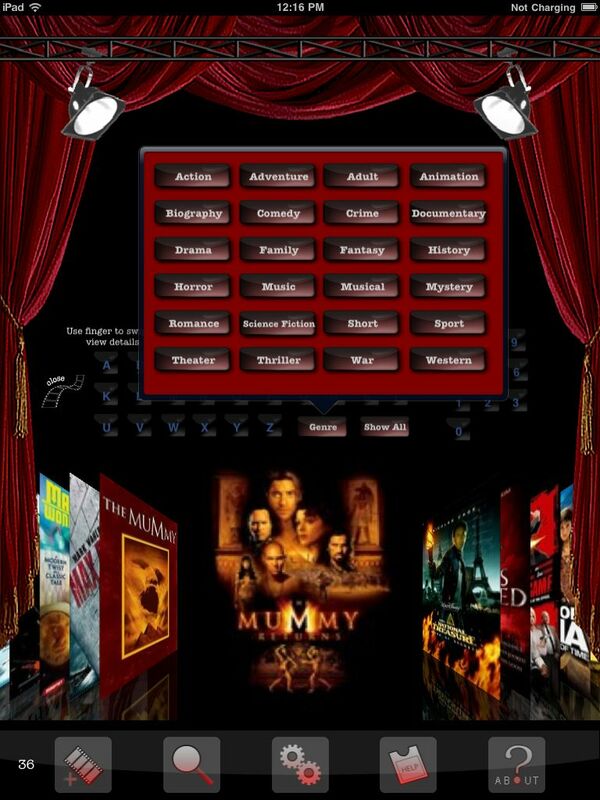 Find your movie in seconds! !!NOTE!! if you are having problems upgrading to this new version, please do the following: 1. Go into settings and tap BACKUP to backup your collection to our DVD Cloud. 2. Delete the app on your device. 3. Download new app 4. Go to USER PROFILE, enter your username and password and LOGIN. 5. Go to SETTINGS and tap on RESTORE to restore your collection from DVD Cloud to your new app on your device. - 12/10/2016:DVD Catalog for iPhone version 7.0 submitted to Apple for approval. All new update for iPhone that fixes all major bugs as well as being updated to the latest and greatest iOS software. - 9/3/2014:DVD Catalog for iPad version 7.0 update approved by Apple.Download the free update in iTunes! - 8/21/2014:MyDVDCatalog.com site being updated and adding more features. Added extra field for movie trailers when adding movies. - 8/15/2014:Working on new iPad version of DVD Catalog app, version 7.0. New features will include faster Backup and Restore, new revamped web service, many fixes and posting your movies to Facebook directly inside app. Also added "Settings Secure" feature which allows you to passcode proect the settings screen. Added Global read only mode so users cannot delete or add/update movies. - 9/26/2012:DVD Catalog for iPad version 6.1 approved by Apple. Please download and enjoy the update! - 9/21/2012:DVD Catalog for iPad version 6.1 update submitted to Apple for approval. - 4/25/2012:DVD Catalog for iPad version 5.9 approved by Apple. Please download and enjoy! - 4/13/2012:DVD Catalog for iPad version 5.8 approved by Apple. Please download and enjoy! - 4/6/2012:DVD Catalog QV for iPad version 3.5 approved by Apple. Please download and enjoy! - 4/6/2012:DVD Catalog QV for iPhone version 3.1 approved by Apple. Please download and enjoy! - 4/6/2012:DVD Catalog for iPhone version 5.3 approved by Apple. Please download and enjoy! - 4/2/2012:DVD Catalog for iPad version 5.7 approved by Apple. Please download and enjoy! - 3/27/2012:DVD Catalog for iPad version 5.7 submitted to Apple for review. New features included are Blu-ray 3D format type and more search options! - 3/23/2012:DVD Catalog QV for iPad version 3.5 submitted to Apple for review. All new updated graphics and functionality! - 3/23/2012:DVD Catalog for the iPad version 5.6 Approved by Apple. Download and enjoy! When switching to other apps and back to DVD Catalog, DVD Catalog would restart. Now DVD Catalog when switched to, starts where you left off. (User Request)DVD Catalog now allows multiple formats! Simply tap the format buttons for DVD,Blu-ray,DIGITAL Copy, etc. You can select one or more formats per movie! (User Request) When adding or editing a movie, you would have to close the keyboard to show the save button. Now the save button moves so its always available on screen. Our Grandaddy of all features! INSTANT BACKUP! No more manually backing up to MyDVDCatalog.com! Every time you add/edit/delete a DVD, it is automatically added/edited/deleted from your online account at MyDVDCatalog.com! DVD must have same name and year. You can of course turn this feature on/off in the settings screen! - 3/11/2012:DVD Catalog for the iPad version 5.5 approved! Download and enjoy the update. - 3/11/2012:DVD Catalog for the iPhone version 5.2 approved! Download and enjoy the update. - 3/11/2012:DVD Catalog QV for the iPhone version 3.0 approved! Download and enjoy the update. - 3/1/2012:DVD Catalog for iPhone version 5.1 approved! Download and enjoy the update. - 2/25/2012:Submitted ver 5.1 DVD Catalog for iPhone to Fix emailing dvd list for large collections and added CSV Export option for Oscar Members. - 2/25/2012:DVD Catalog for iPad version 5.4 approved! Download and enjoy the update. - 2/24/2012:Added notes field to MyDVDCatalog.com FORM reports. - 2/17/2012:Submitted ver 5.4 DVD Catalog for iPad to Fix emailing dvd list for large collections. - 2/17/2012:DVD Catalog for iPad version 5.3 has been approved by Apple! Please download and enjoy! - 2/7/2012:DVD Catalog for iPad 5.2 has been approved by Apple! Please download and enjoy! - 1/31/2012:Submitted ver 5.2 of DVD Catalog for iPad to Apple for approval! Now exporting all your movies, EMAIL CSV button on settings page is now updated and fixed. - 1/27/2012:DVD Catalog for iPhone version 5 has been approved by Apple! Please download and enjoy! - 1/20/2012:Submitted ver 5.0 of DVD Catalog for iPhone to Apple for approval! Added new format type, DIGITAL COPY plus cosmetic fixes. - 1/5/2012:DVD Catalog for ANDROID coming soon! We have listened to all of our fans and we have started on the android platform! More details coming soon! - 12/21/2011:DVD Catalog for iPad version 5.1 has been approved by Apple! Please download and enjoy! - 12/15/2011:DVD Catalog for iPad version 5 has been approved by Apple! Please download and enjoy! - 11/14/2011:MyDVDCatalog.com website big time update! Now all searches are 100times faster on website and on iPhone/iPad/WP7! Also, if we do not have a movie, please fill out our request Movie/TV Show form and we will add any movies we do not have with in just days! MyDVDCatalog.com - the best dvd catalog software on the web just keeps getting better! Thank you for all your support! - 9/7/2011:DVD Catalog QV for iPad ver 3.0 has been submitted to by Apple for approval. New features included are fixes, more genres,allows duplicate titles in downloading,cosmetic fixes, added sort by in cover flow view! - 8/23/2011:DVD Catalog for iPad ver 4.7 has been approved by Apple! Please update and enjoy! - 8/17/2011:DVD Catalog for iPad ver 4.7 has been Submitted to Apple for approval. New features include LANDCAPE DVD COVER FLOW! We also now allow duplicates to be added when restoring your dvd collection! - 8/7/2011:Name That Movie for iPhone has been approved by Apple and is now available in iTunes! Enjoy! - 8/5/2011:Name That Movie for iPad has been approved by Apple and is now available in iTunes! Enjoy! - 8/2/2011:'Name That Movie' We have it for the iPad, but now we will have it for the iPhone too! We have just submitted 'Name That Movie for iPhone' to Apple for approval! 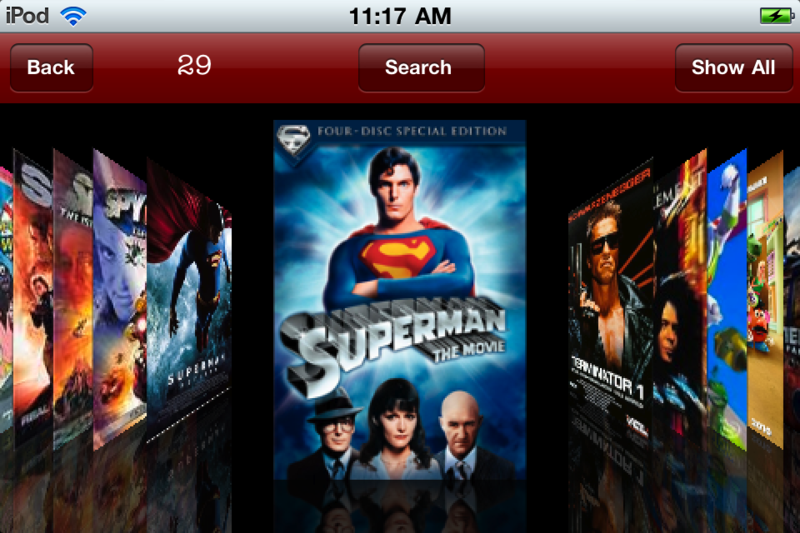 - 8/1/2011:DVD Catalog for iPhone update 4.0 has been approved by Apple and is now available in iTunes! Enjoy! - 8/1/2011:'Name That Movie' for iPad version 1.5 has been submitted to Apple for Approval. Features included are bug fixes, faster load times , genre corrections, cosmetic fixes and more. - 7/31/2011:DVD Catalog for iPad ver 4.5 update has been approved by Apple! Enjoy! - 7/29/2011:'Name That Movie' for iPad ver 1.0 has been approved by Apple! Enjoy! - 7/22/2011:DVD Catalog for iPad 4.5 submitted to Apple for approval! New features include:Stability improvements!,New Icon,Added more Genre categories,When tapping on a dvd in cover flow, a new popover window appears to allow you to see quick details. You can then tap on same dvd cover to close window or click the View/Edit button for more details.,On More Info button on Data entry screen, you have more choices to see more info, Netflix, IMDB and Rotten Tomatoes. Now defaults to IMDB,Better and easier BACKUP AND RESTORE buttons on settings page so you cannot make mistakes on backup up your data to MyDVDCatalog.com,Improved Search page with more screen realestate,Besides being able to sort and search by Actor, director,genre,rating,Title and year, we also added Slot #,Faster rendering of dvd images in cover flow,As always, thank you for all your suggestions! We have many more improvements to come! -Contact us anytime at MyDVDCatalog.com for any comments/suggestions you may have. We return all emails with in 12 hours! 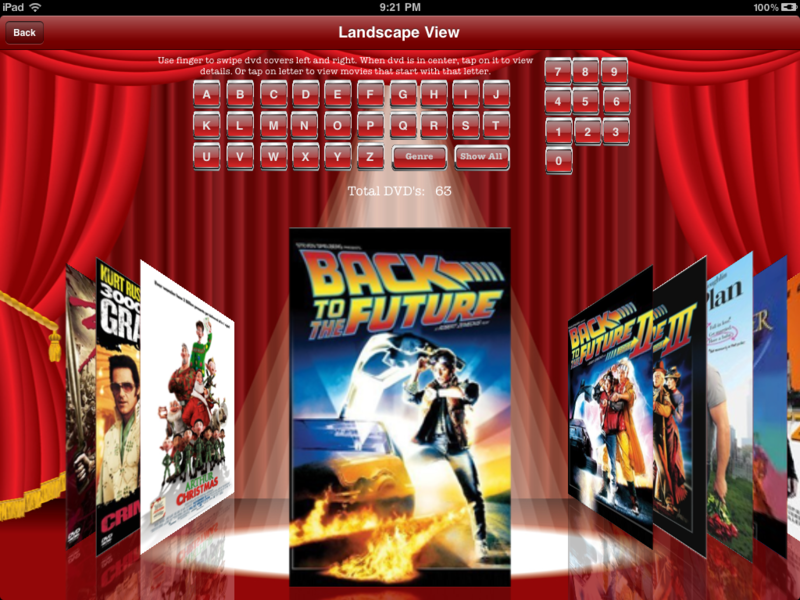 - 7/19/2011:We are almost complete with all new update for all of our DVD Catalog apps! More features just keep on coming! We will keep you posted! - 5/15/2011:DVD Catalog (iPad) 4.0 approved! Downoad and enjoy! - 4/5/2011:DVD Catalog for iPad ver 3.7 has been approved by Apple! Enjoy! - 4/5/2011:DVD Catalog QV for iPad ver 2.2 has been approved by Apple! Enjoy! - 3/29/2011:DVD Catalog for iPad (ver 3.7) has been submitted to Apple for approval. New features we added are: minor bug fixes,Speed enhancements on cover flow,Cosmetic fixes and fixed minor crashing. - 3/29/2011:DVD Catalog QV for iPad (ver 2.2) has been submitted to Apple for approval. New features we added are: minor bug fixes,Speed enhancements on cover flow,CLOSE BUTTON on dvd detail screen,Cosmetic fixes and fixed minor crashing. - 3/26/2011:DVD Catalog website has been updated and everything is up and running again! We also added two AUTO load buttons on our website when adding DVDS. The first auto load button is the default one. The second one is just another option in case we need to do any type of updates, this second upload button will always be available! 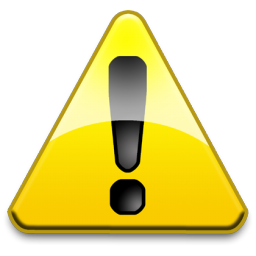 ** 3-22-2011 1:00pm** WE ARE UPDATING OUR SERVERS, both website and DATABASE. The AUTOLOAD function will not function on our website or your iPhone/iPad/WP7 until the upgrade process is complete. We are expected to be up and running by 9:00pm tonight. We apologize for this inconvenience. If you have any questions, please fill out our contact form. Thank you. - 2/17/2011:DVD Catalog for WP7 (ver 2.0) has been submitted to Microsoft for approval. New features we have added are: much faster display of your dvd photos in lists, added DVD and Blu-ray feature so you can easily see all your dvds or all your blu-rays with just a tap! See Screen Shot. - 2/11/2011:DVD Catalog QV for iPhone (ver 2.0) has been Approved! Download and Enjoy! - 2/8/2011:DVD Catalog for iPhone (ver 3.5) has been approved! Please download and enjoy! - 2/8/2011:DVD Catalog QV for iPhone and iPad (ver 2.0) hav been submitted to Apple for approval. Updates include two new buttons to show only DVDs or Blu-ray movies!! - 2/7/2011:DVD Catalog for iPad Update (ver 3.5) has been Approved! Download and Enjoy! - 2/7/2011:DVD Catalog QV for iPhone (ver 1.5) has been Approved! Download and Enjoy! - 2/1/2011:DVD Catalog QV for iPad ver 1.5 has been approved! Download and enjoy! ( iTunes Link ). Yes, we are also working on iPhone version too! On Cover flow screen, now you can search by Genre! When you search on cover flow screen by letter, a new option, Genre button will popup with a list of Genre's you can search your cover flow by. - On Search screen, added DVD format field under dvd cover image - Cosmetic fixes - DVDCatalog.com website now allows you to upload your own custom dvd cover images as well as full reporting. - 1/25/2011: MyDVDCatalog.com updated and was down on 1/25/2011 at some times of the day which may have affected AUTO Loading. Everything is all fixed now. We apologize for any inconvenience. - 1/6/2011: DVD Catalog for iPad ver 3.2 has been Approved! Download and enjoy! This icon is only displayed on the IPAD ONLY when low memory exists. We are working with Apple to resolve this small memory issue. The iPad has poor memory multi-tasking issues that the iPhone does not have. That is it. You can exit the app and then run it again and there will be more memory available to the app. Please also visit this link to exit all your apps so you an have more memory for DVD Catalog. iPad Low Memory The iPhone/iPod does not not have any memory problems. - 12/20/2010: DVD Catalog for iPad ver 3.1 has been Approved! - 12/20/2010: DVD Catalog for the iPhone ver 2.6 has been Approved! - 12/15/2010: DVD Catalog for iPad ver 3.0 has been Approved! - 12/9/2010: DVD Catalog for iPhone ver 2.5 has been Approved! Features include "Lent to" search, reset function to clear all dvds on WP7 phone. Improved downloading from MyDVDCatalog.com with progress showing number of movies downloaded. Lent to field now displays on list so you can easily see what dvd and who you have loaned them to easier. - 12/1/2010: DVD Catalog for iPhone(version 2.5) and DVD Catalog for iPad(version 3.0) have been submitted for approval. - In settings page, added new option to "ALLOW DUPLICATE TITLES" when saving movies. Turn this on and you can have the same titles. For example, you may have "Finding Nemo" in a dvd and one in Blu-ray, so you can add two titles with the same name now. - 11/17/2010: DVD Catalog for iPhone ver 2.1 has been Approved! - 11/17/2010: DVD Catalog for iPad ver 2.9 has been Approved! - 11/12/2010: DVD Catalog for 1.0 Windows Phone 7 has been Approved! - 11/10/2010: DVD Catalog for iPhone(version 2.1) and DVD Catalog for iPad(version 2.9) have been submitted for approval. -(iPhone/iPad)Faster searching! 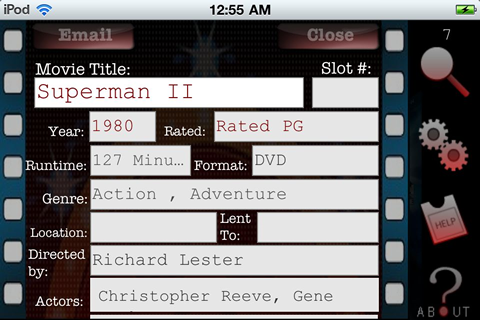 When you are in the data entry screen to add a movie, enter your movie title and then tap the "Auto Load" button. Your movie will be searched for instantly. Now you will not have to tap on the auto load button and the search button after that, saving you two taps when searching! -(iPhone/iPad) The "Remove The" option from the beginning of a title now updates after autoloading a movie and also fixed the problem if a movie title started for example "There's something about Mary" . Before it would still remove the "the" in "there's". Now that is fixed where it now removes only the "the ". - 11/2/2010: DVD Catalog 1.0 for Windows Phone 7 approved! Please download and enjoy! - 10/1/2010: DVD Catalog for iPhone(version 2.0) approved! Backup and Restore fixes applied! Please download and enjoy! - 9/30/2010: DVD Catalog for iPad(version 2.8) approved! - 9/23/2010: Version 2.0 of DVD Catalog for iPhone has been submitted. - 9/23/2010: Version 2.8 of DVD Catalog for iPad has been submitted. - 9/22/2010: Version 1.5 of DVD Catalog for iPhone has been Approved! Please download and enjoy! - 9/22/2010: Version 2.7 of DVD Catalog has been Approved! Please download and enjoy! - 9/13/2010: Version 2.7 has been submitted and waiting for approval. - 9/10/2010: Version 2.6 of DVD Catalog has been Approved! Please download and enjoy! - Index search of coverflow which allows you can simply tap on a letter and it will take you to those dvds that start with that letter. - Backing up crashes bugs have been found and fixed! lended out! Plus many more! - 9/5/2010: Version 2.5 of DVD Catalog APPROVED! Download and enjoy! - Added Email button in settings page so you can email your entire collection of dvds to anyone! - 8/9/2010: Version 2.0 of DVD Catalog is approved! This new version fixes all crashing and now with tons of more features! Includes Netflix and IMDB lookup to see more details after you AUTO LOAD your movie details! Our new BACKUP and RESTORE feature has been updated as well! Enjoy! - 8/6/2010: Version 1.5 of DVD Catalog is approved! This new version fixes crashing on some iPads and now also adds our new BACKUP and RESTORE feature! - 8/1/2010: Waiting for Apple to approve version 1.5 of DVD Catalog. Known issues of app crashing. Crashes are not consistant of all iPads, but we found a fix and rewrote our own animation routines. This new version fixes crashing and also adds our new wanted features: BACKUP and RESTORE your DVD Collection! We are also working on version 2.0 of DVD Catalog which will include more features such as a popup web browser so you can view more movie details!